On the back of recent research published in our earlier artilce "Fife Tops Table For Business Performance", which revealed Kirkcaldy as home to the best performing micro-businesses in Britain, Cllr Lesley Laird, Fife Council’s Depute Leader and Spokesperson For Economy and Planning and Pamela Stevenson Lead Officer, Fife Council Economic Development visited Kirkcaldy business Arro Lighting and Events. Ross Syme and Aaron Andrews who run Arro, have over 21 years of knowledge and experience in the Christmas lighting industry. “It was great to meet with Cllr Lesley Laird and Pamela Stevenson today, discussing the important contribution micro businesses have in our local economy, and their relationship with Fife Council and their support systems. 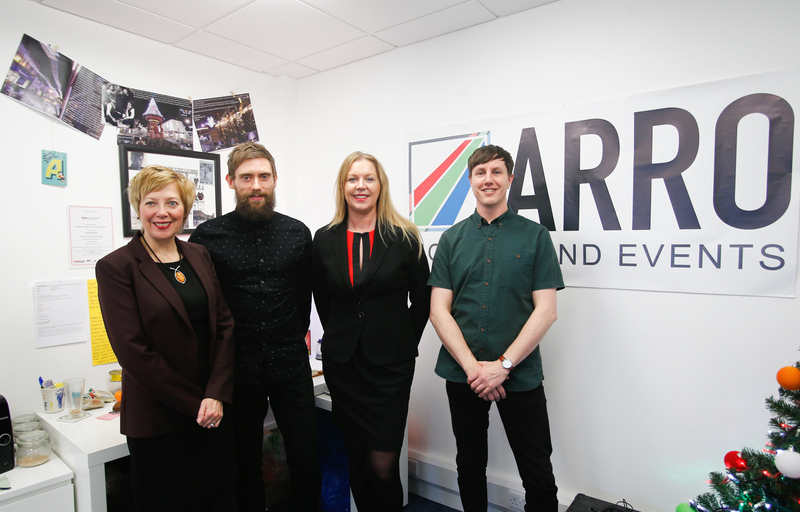 ARRO are proud to be part of Kirkcaldy’s thriving micro business community, and we have an ambitious growth strategy for our company”.